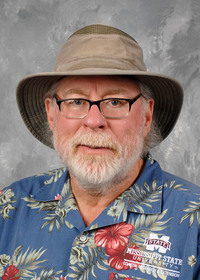 It’s that time of year again for shopping, eating, delivery trucks and poinsettias. Yep—it’s the Christmas season. 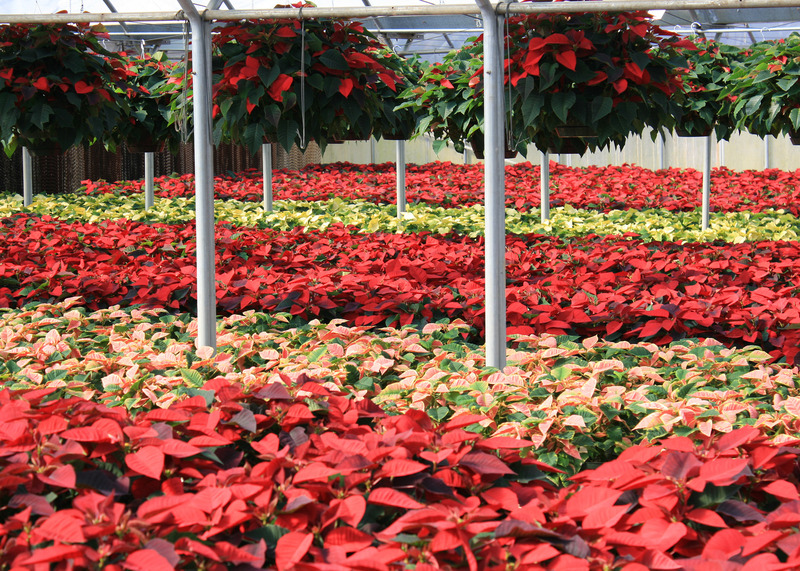 Now is a great time to get the best selection of poinsettias. They’re plentiful in a wide variety of sizes and colors sure to fit into any holiday decorating scheme. I’m always amazed at the beautiful colors, but my favorite has to be the traditional red. 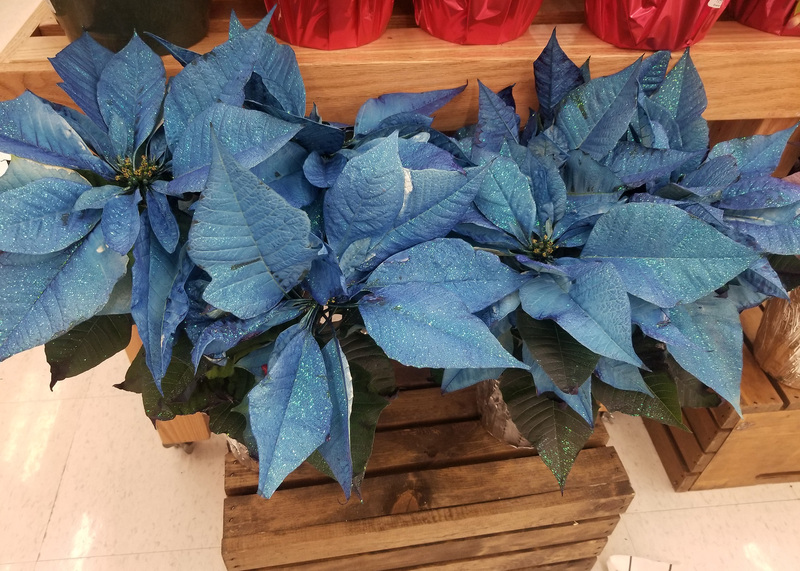 Take your time when shopping for poinsettias. Don’t just grab the first pretty plant you find. Remember that not all poinsettias are the same, especially when they are displayed tightly packed on racks or benches. Look for plants that are compact with good branching. Don’t be afraid to carefully pick plants out of the crowd and look at them. Look for signs of stem and branch breakage before you purchase them; the sleeves that protect many poinsettias can hide these defects. I like to buy poinsettias that are not sleeved and then have a protective sleeve put on at the check-out counter. If you’re going to be on an all-day shopping trek, plan to buy your poinsettias last. Don’t leave them in a cold or hot car all day. Poinsettias need at least six hours of indirect sunlight and comfortable room temperatures. If you’re comfortable, then the poinsettias will be happy. That poinsettia might look great by the front door when guests arrive, but the sudden temperature changes from drafts, either cold or warm, will cause the leaves and bracts to drop. 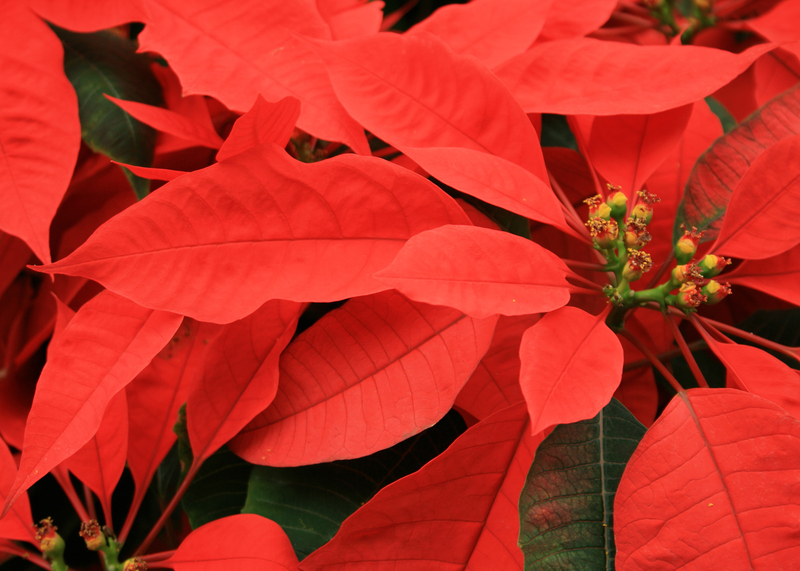 Poinsettias are sensitive to wet feet, and root rot sets in very quickly, so don’t overwater. It’s easy to tell if your plant needs water. Either feel the top of the potting mix for dryness or pick the pot up to get a sense of the weight. Light pots need water.